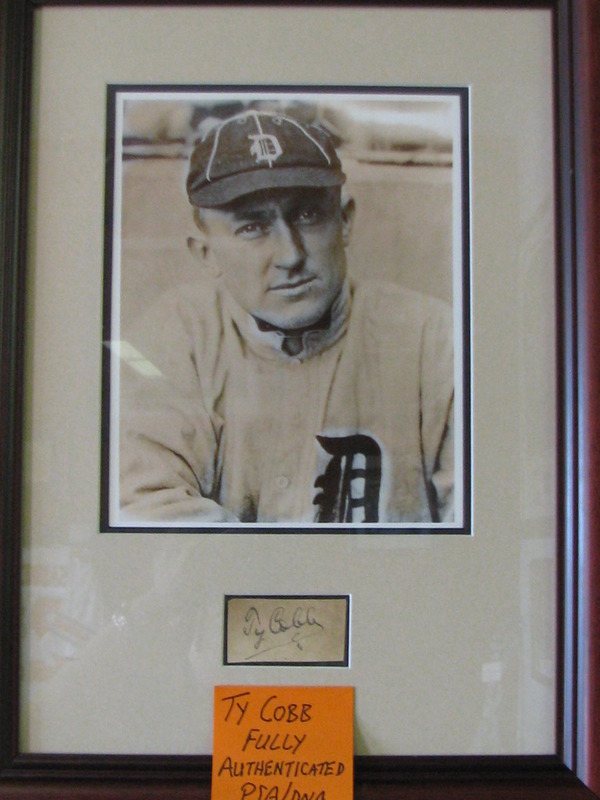 8x10 Ty Cobb photograph with cut signature. Museum quality mat and frame. PSA/DNA authenticated. All items are deemed authentic with a LIFETIME MONEY BACK GUARANTEE. Item was the center piece of a traveling sports bar. Comes with dual PSA authentication.